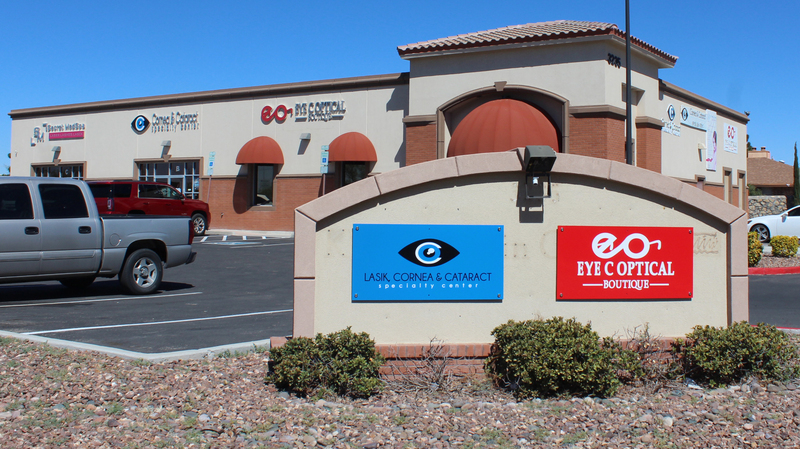 Welcome to LASIK, Cornea & Cataract Specialty Center where we provide impeccable care and service, utilizing the most advanced eye-care technology, and providing an environment specifically designed to instill confidence and comfort in our valued patients in the El Paso border area. When you’re at LASIK, Cornea & Cataract Specialty Center, you’re treated like family. We have three locations to serve you; east on Trawood and Montwood, central at 5-points at Pershing and west side on Doniphan not far from the Outlet Mall. All three offer our Eye C Optical Boutique to fill your eye vision needs for everyone in the family. You can also check out our popular designer brand name sunglasses and frames.